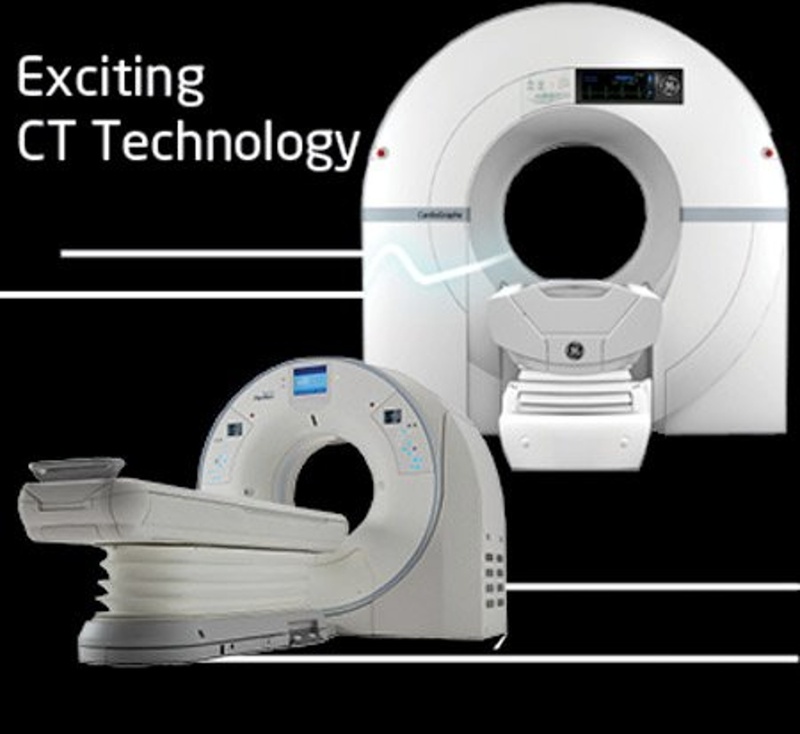 It’s an exciting time for medical imaging technology, with new products being introduced almost weekly! The two latest advancements are in cardiac computed tomography angiography (CCTA) imaging technology: the Canon Aquilion Precision and the GE Healthcare Cardiographe dedicated cardiac CT Scanner. Let’s take a first look at this new technology. The Canon (formerly Toshiba) Aquilion Precision was introduced at the 2017 Radiological Society of North America meeting in 2017. It was cleared by the FDA this April, and it’s the first CT system to offer a 0.25 mm resolution. It can resolve coronary anatomy as small as 150 microns and delivers a CT image quality and resolution once reserved for cath lab angiography. The Aquilion Precision is ideal for look at tiny structures like coronary plaques, stent struts and tiny coronary vessels that can’t be seen on CTA scans. This new technology uses a brand-new kind of detector that provides more than double the resolution of 0.5 mm systems. It’s also better in scintillator quantum efficiency, detector circuitry and other components. It also has the industry’s smallest focal spot tube (0.4 x 0.5 mm) and the first routine 1,024 x 1,024 reconstruction matrix. The GE Healthcare Cardiographe is a result of a collaboration between Israeli start-up Arienta, several respected physicians and GE Healthcare. 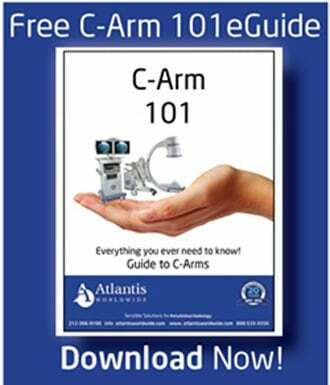 It’s designed to improve coronary CT angiography without concerns about using it for general radiology imaging. It is very compact so it can fit in a physician’s office or a room smaller than needed for a standard 64-slice scanner. GE Healthcare commercialized the scanner, which earned clearance by the FDA last year. It incorporated many of its CT advances for metal artifact reduction, iterative reconstruction and dose reduction from its Revolution CT system. The Cardiographe offers 140 mm of anatomical coverage to scan an entire heart in just one rotation without stitching. Thanks to a rotation speed of just 0.24 seconds, it delivers fast scans that freeze cardiac motion. At Atlantis Worldwide, we’re always excited to learn about advancements in medical imaging technology. It will be quite a while before either of these new systems will be available as a refurbished or used system. However, in most circumstances, we can provide hospitals, clinics, practices and healthcare centers with refurbished medical imaging solutions that deliver both exceptional performance and price. To find out more, talk to an expert at Atlantis Worldwide, Contact Us Today! Looking to purchase a CT? Answer these Six Questions First!